Yesterday I took a little walk in Rehovot after sundown, and got to see the brightly lit chanukiyot in the windows, and watch families huddled around their candles, singing the blessings and songs. I couldn’t stop smiling the entire way. The sight of so many Jewish families lighting up the night like this filled me with such joy and pride and hope. 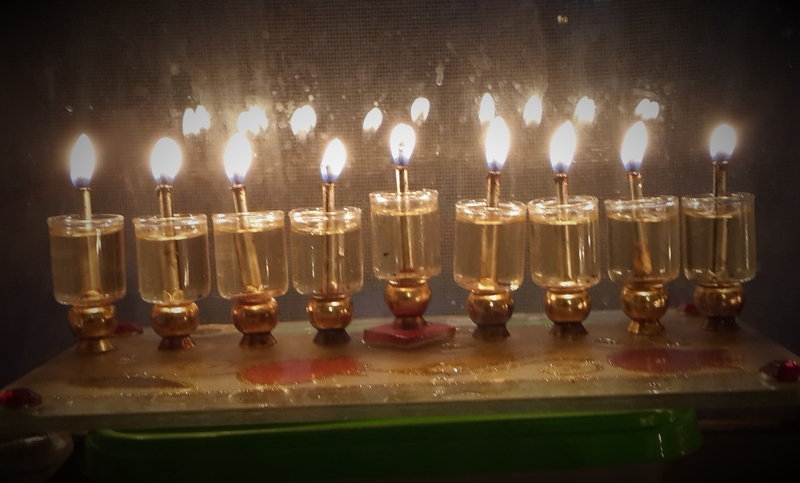 Tonight is the eighth and final night of Chanukah. Each night we increased the light incrementally, until today–the climax of the Festival of Lights. Eight is the number of infinity. In Jewish tradition, it symbolizes the realm of the supernatural. May this infinite light carry us through until next year.